UPDATE: The ported APK covered below is now obsolete because Fortnite beta is officially available for all Android devices! Alongside its Galaxy Note 9 announcement at Unpacked this year, Samsung confirmed that Fortnite would initially launch on Android as a Galaxy-exclusive. 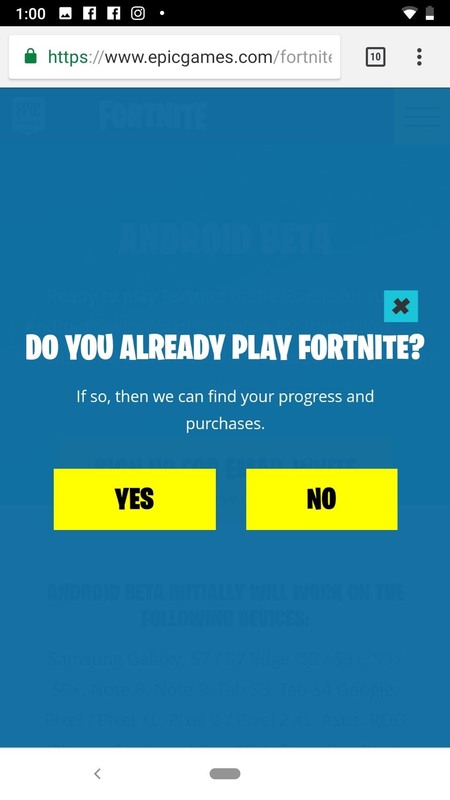 But thanks to Android's awesome development scene, this didn't last long at all — you can run Fortnite on any compatible Android device right now. While this announcement is certainly exciting for anyone on Android looking to compete in the popular shooter, it's not all good news. 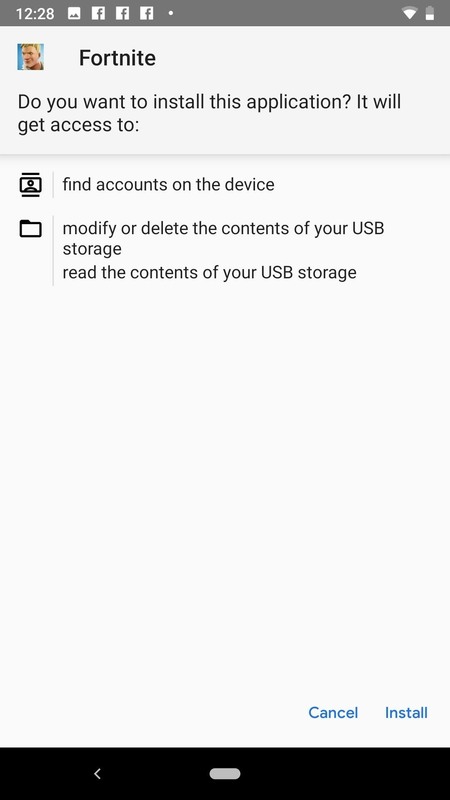 While you can absolutely attempt the steps below to get Fortnite on your Android device, there's an off chance your Epic account could get banned if you use the method outlined below. So be careful and use a burner account, but I'll explain it all in detail below. If your phone didn't make the list of compatible devices, there's a way to trick Fortnite into thinking your phone is actually a Galaxy S9. 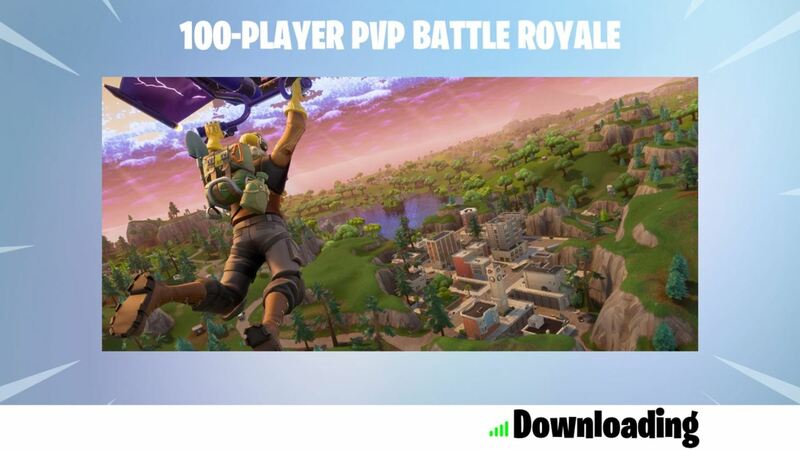 Thanks to Kieron Quinn, you can download an APK for Fornite right now on almost any Android device you may have. The only requirement is that your phone be ARM64, aka 64-bit. This has been the standard for some time now, so if your phone is a high-end Android released in the past three years, you should be good to go. But before you begin, let's talk about the potential for getting banned from Fortnite's servers. Because this is a modified APK, the signature doesn't match the official APK from Epic. If this modded version becomes popular, Epic will likely catch on and start looking for that modified signature. If so, there's a chance they could ban accounts that use this version, so proceed at your own risk. We recommend using an alternate account if you play this version. You can find the latest APK from this thread on XDA. 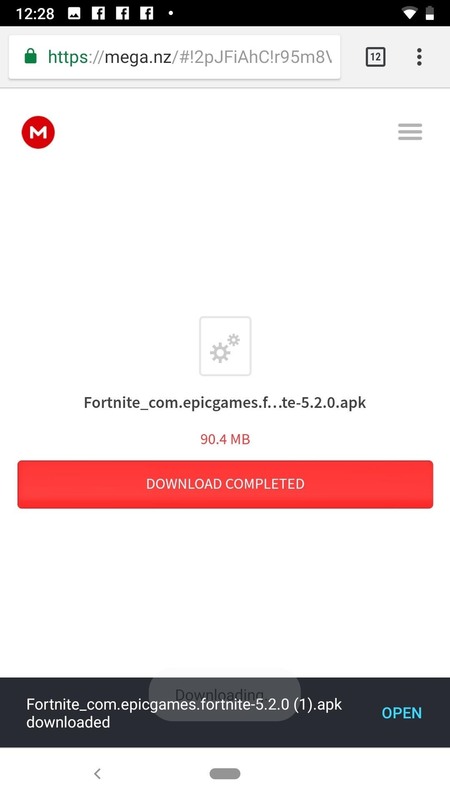 Always look for the first link underneath "Download," as the APK is frequently updated to bypass Epic Games' takedowns. When you click the APK link, you'll have the option to open the APK in Mega or in your browser. 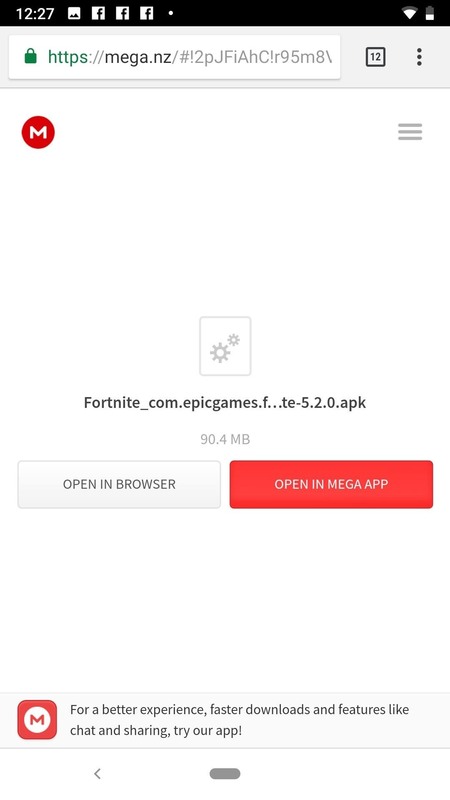 While you can open in Mega, you can easily open the link in your browser hassle-free. 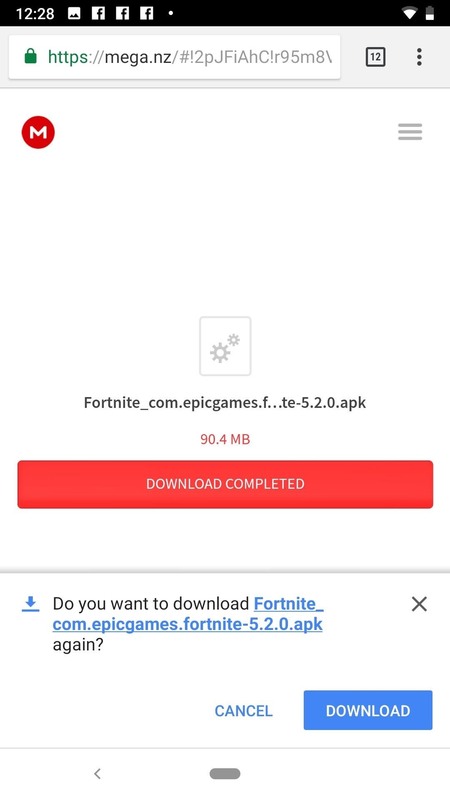 Once the APK has been downloaded via your browser, you can tap "DOWNLOAD" at the bottom of the screen to download the file directly to your device. Finally, tap "OPEN" when prompted. 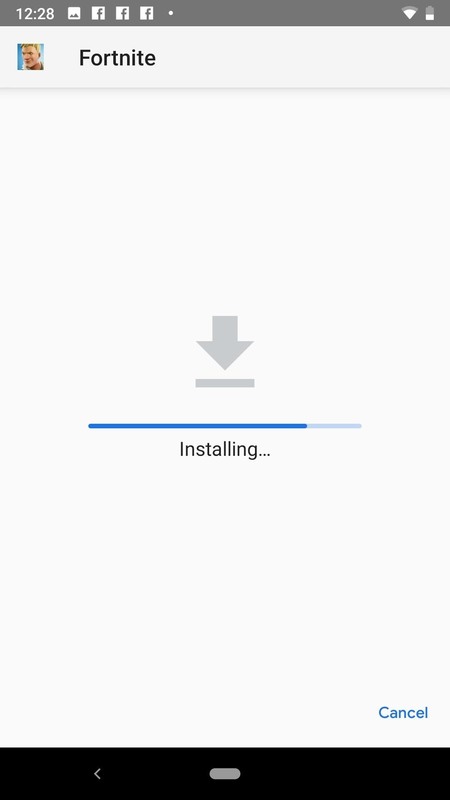 Next, you'll need to install the APK. 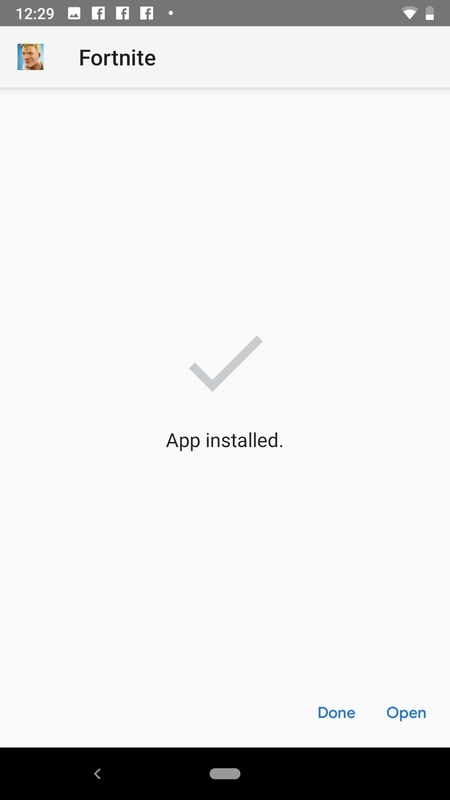 Tap "Install" at the bottom of the page to begin the process. Once the progress completes, simply tap "Open" to open Fortnite. Now all that's left to do is enjoy some (unlicensed) Fortnite action. However, it's important to note that Epic's servers are overloaded with new players right now. You may experience some issues when facing the initial download screen in Fortnite, but just let the app retry the download — eventually, things will click into place, and you'll be playing against your fellow Android users for the first time. If the official route is more your cup of tea, Epic Games now has a signup link on its website for users to receive emailed game invites once the beta becomes available. Simply tap "SIGN UP FOR EMAIL INVITE," to begin the process. 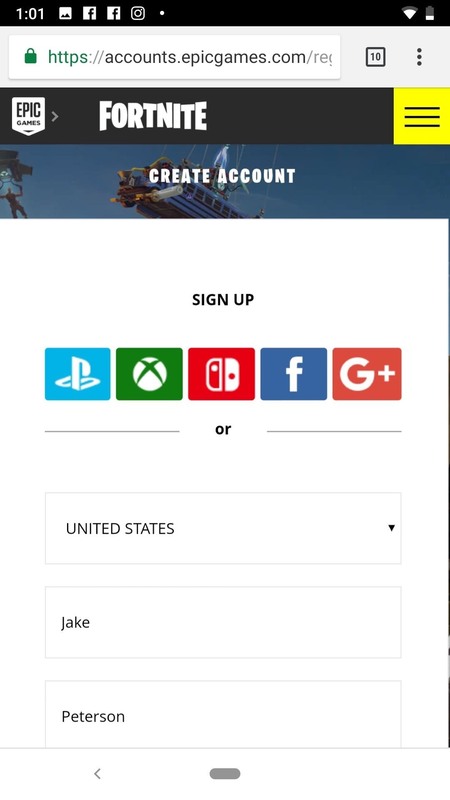 If you have a Fortnite account already, tap "YES" on the following page to sign-in, or tap "NO" to create an account. Once you've signed up for the email invite, however, there's no telling when you'll receive a download link. If you're interested in immediate results, give the APK instructions a go. Nice tip, I'd never tried that! Thanks for yet another awesome port, btw. Unfortunately, the APK listed here is now out of date, so you'll encounter this error while attempting to use it. However, while Kieron Quinn works on an update for the APK, some users are having luck using this Airplane mode workaround. Give that a try while we wait for the updated APK! Quinn has issued an updated APK on the aforementioned XDA thread. Try out this new update and let us know if it works for you! 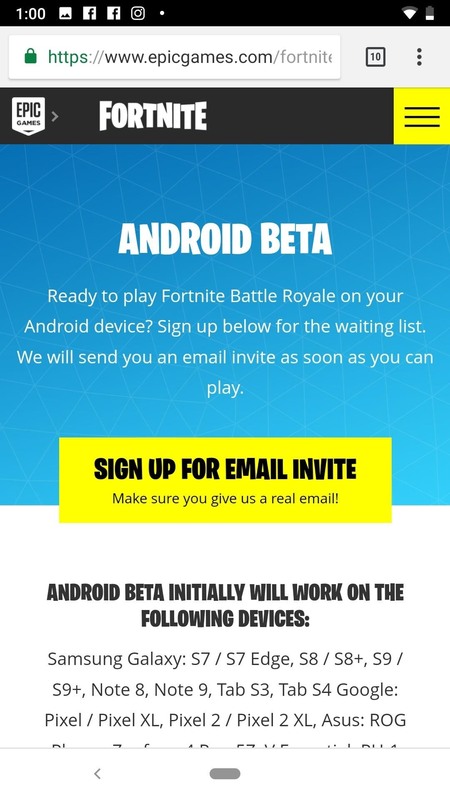 Fortunately, you no longer need to access those files — the Fortnite beta is now officially supported on Android, so you can simply download the game right to your device!